Son of a Gun’s been open just over 4 years; this is my third time visiting the restaurant, but really my first time having a full ‘regular’ meal here. My first trip in 2011 was a ‘second dinner’ after a Cafe Boulud pop-up meal at Animal, while my second visit in 2013 was for a Graham Elliot dinner. After quite some time, I was excited for a return to try some of the favorite menu mainstays as well as some new dishes. 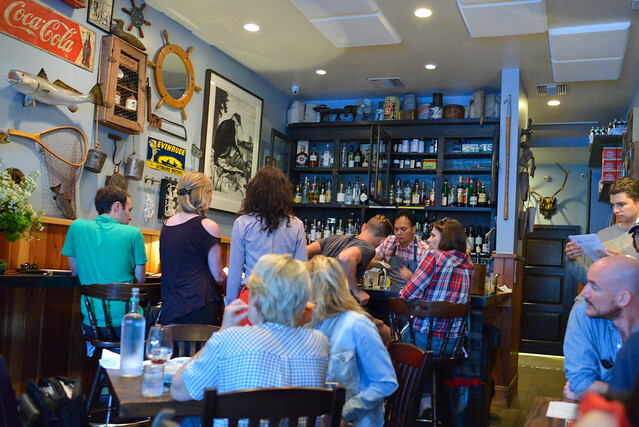 The maritime decor reflects the fact that this is a seafood-focused restaurant, though its most famous dish has become its fried chicken sandwich. 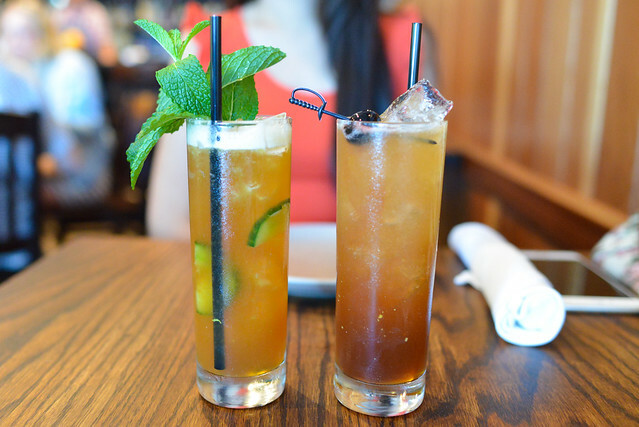 Cocktails were first; both of these were rather refreshing and helped to whet the appetite. 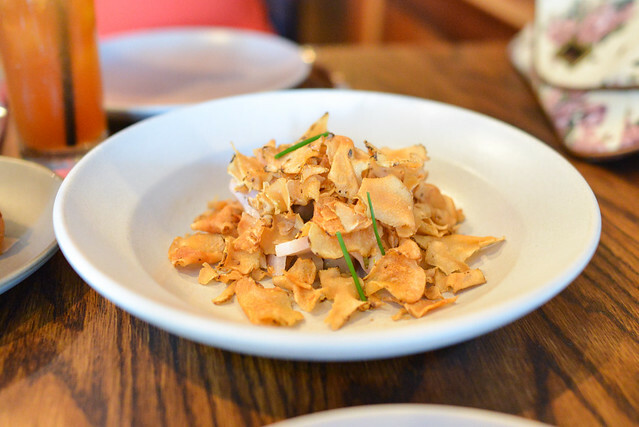 I thought the delicate slices of fish were really overshadowed texturally by the crispy sunchokes; particularly with their delicate flavor, I could barely tell there was fish in this dish. 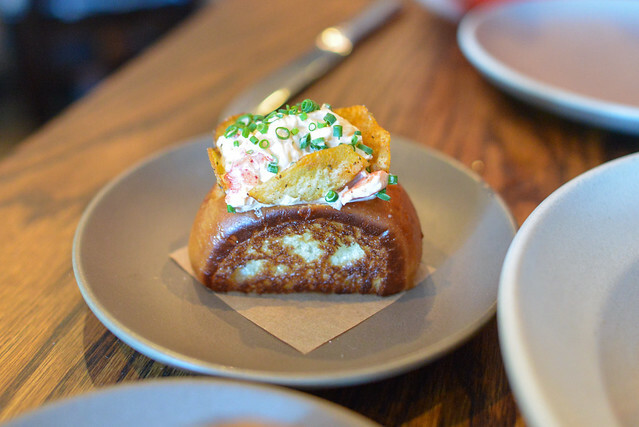 The petite lobster roll was very good with a subtle heat and sweet cool lobster flavor. The potato chip was integral, adding delicate texture and an extra boost of flavor (I think the chips were BBQ-flavored). However at $9, this was one of the most expensive lobster rolls in town in terms of $$ per bite. 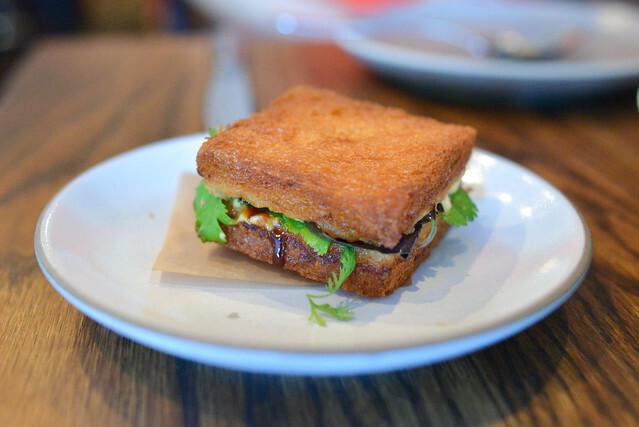 Shrimp toast was excellent, both sweet and savory with a lot of aromatic flavors from cilantro and Thai basil. The toast provided an ideal crunch to each bite too. Favorite dish of the night. 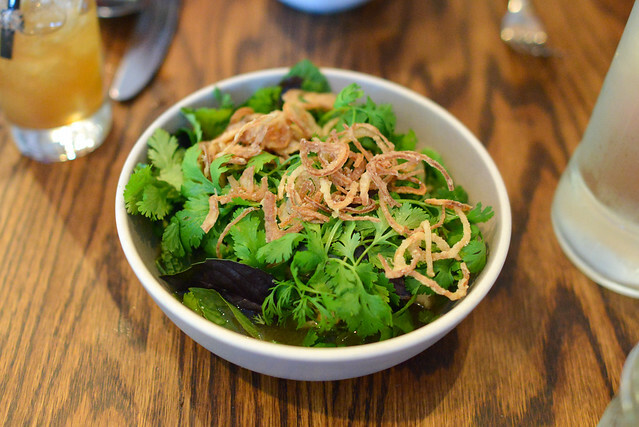 Black bass was tender and flaky, complemented by plenty of fresh bright herbs. An off-menu special on this day, this dish featured two yellowtail collars with a sweet/savory bourbon glaze. 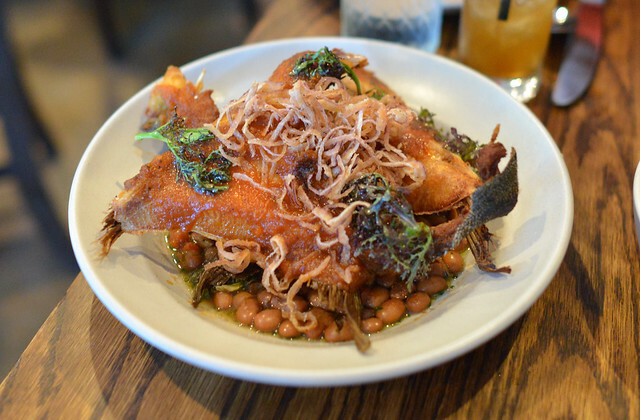 The fish was moist with plenty of flavorl the Southern influence was completed by hearty beans and collared greens. The chicken was fairly moist with a really nice crunch. Plenty of coleslaw sought to offset the rich fried chicken while the sriracha mayo added some heat and additional moisture. Our meal at Son of a Gun was a pretty good one. 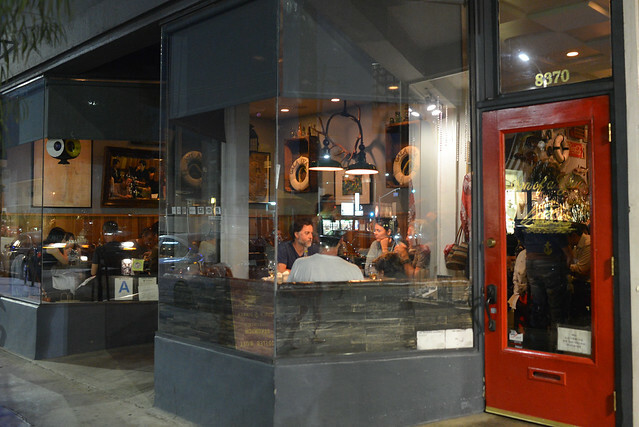 The shrimp toast is definitely a must-order and the restaurant has a nice variety of seafood-focused dishes. 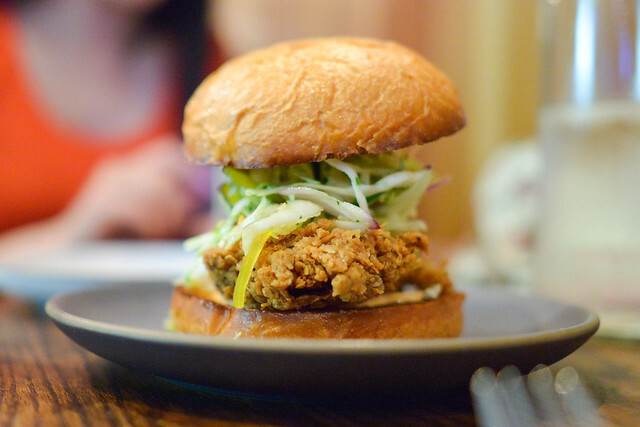 I’m not sure I like the fried chicken sandwich as much as others do, but there’s plenty more to offer here.